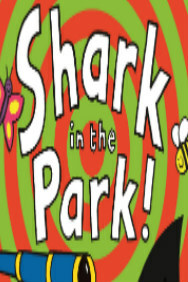 Shark in the Park tickets at Southbank Centre, London. 2019. Approximate runtime 55minutes (including any interval). Performers Chloe Edwards, Paul Beeson, Zoe Halliday. Author Nick Sharratt. Company Nonsense Room Productions (with Macrobert & ABA international). Director Bruce Strachan. Director Julie Ellen. Musical Director Matthew Brown. Music Matthew Brown. Design Peter Horsburgh. Lighting George Tarbuck. Costume Patricia Kenny. Tuesday, 23rd July 2019 to Sunday, 28th July 2019. Shark in the Park tickets: The tabs above allow you to select between links to suppliers and date searching. Click on a supplier's logo to see their details and on the 'buy now' button to see and check the tickets on offer.